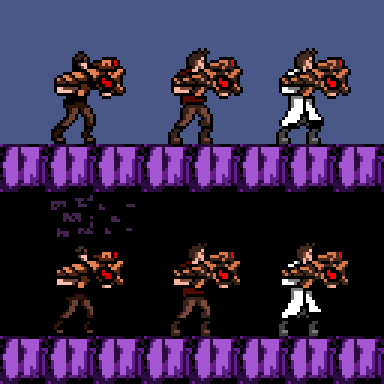 Trace's sprite needs an overhaul. I'm internally debating on whether to give him a labcoat, since he is, at least in my current iteration of the story, a scientist. However it does give him a resemblance to Soma Cruz's ensemble. The middle picture is an inbetween step where I improve the clarity of his features but still keep him casually dressed.